On 9/21/18 in the evening, my oldest daughter and her family were sitting around a slow burning log enjoying a beautiful evening together with kids and her sister. The log had been burning for hours and to keep it going more diesel was place in the center. A freak accident lead a spray of fire toward Jasmine (mom) and Bryztol (2yr old daughter) and others sitting around the log. Jasmine protected Bryztol from the flames as any mom would, she has received high second degree burns on her hands and her legs. Her legs are burned from her sock line to her shorts line. 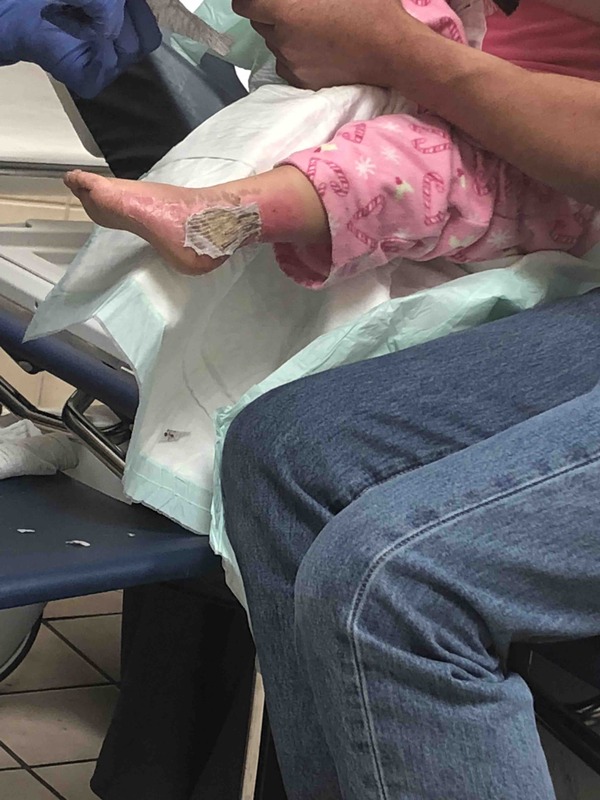 Bryztol was clothed in long pants but has burns ( not clear on the degree currently) on her right cheek and her feet. 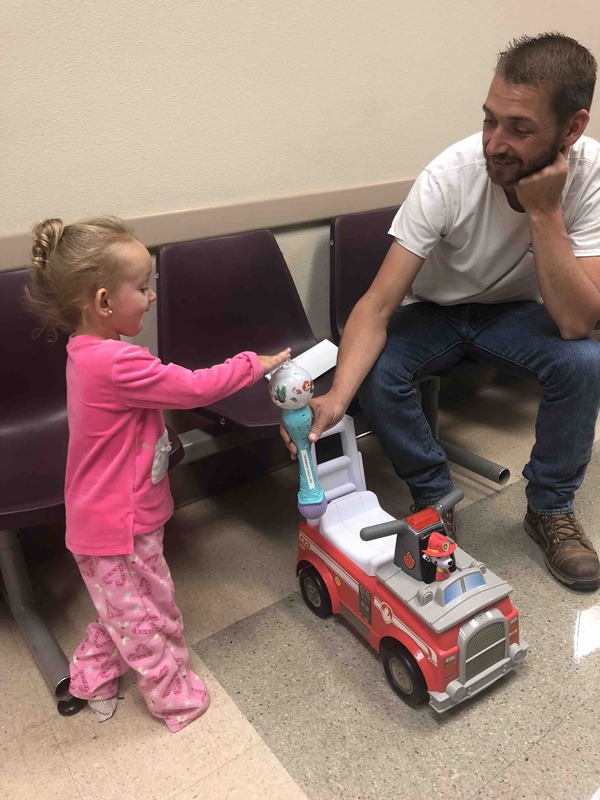 After the initial assessment at the hospital, both Jasmine and Bryztol were life flighted to Las Vegas where they are currently in the burn unit receiving treatment. 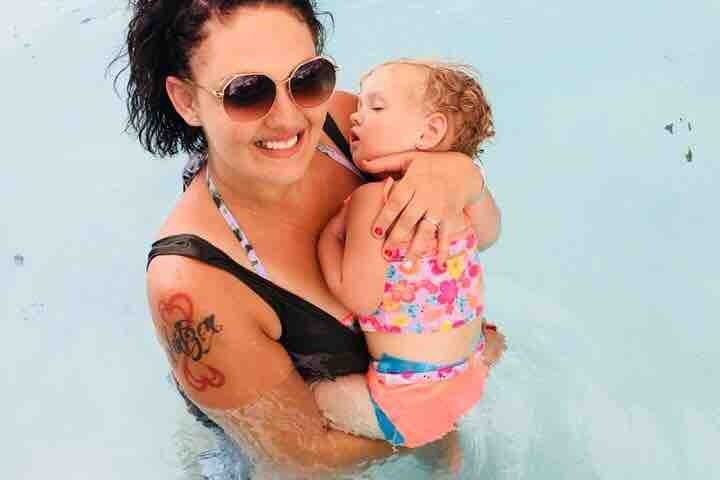 Jasmine is a loving mom of 4 kiddos, Karson is by her side in Las Vegas which has left the other children back in St. George with family. First and foremost we recognize the greatness of God, he is faithful and has blessed us with their lives. We ask for prayers for healing and strength for family and their kids to be strong through this difficult time. 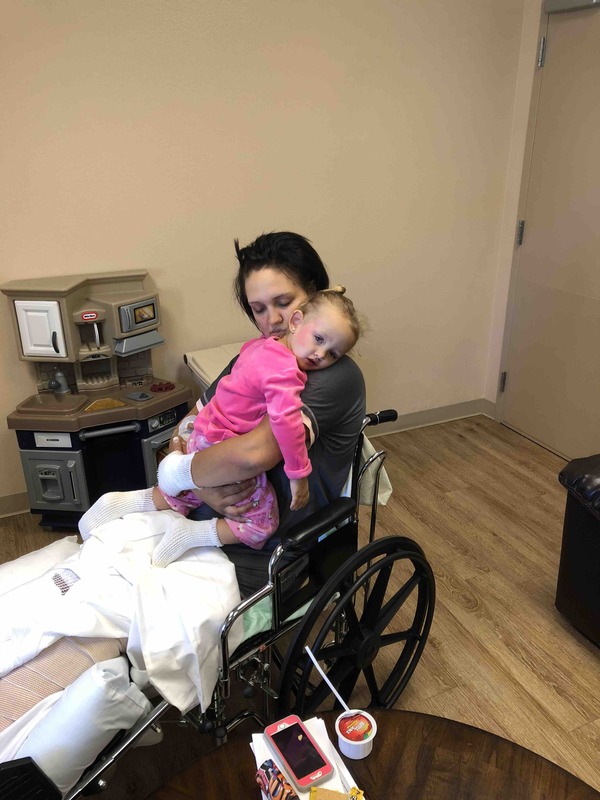 We are humbly reaching out for any donations to help the family with Medical expenses, travel expenses and any other costs that they may encounter due to the nature of the accident. Any amount donated is appreciated. If you are not able to donate monetarily your prayers are a true gift. I praise God for their safekeeping and the blessing of life! Follow us on Facebook Bartschi’s road to recovery! Sharing good news on Bartschi’s road 2 recovery on Facebook @bartschistrong. Hope you’ll check it out! Thank you for your donations. They have helped our family already. We are blessed to have all the support and love. Please share our story and like our page.